Notes: This CD contains twelve originals. 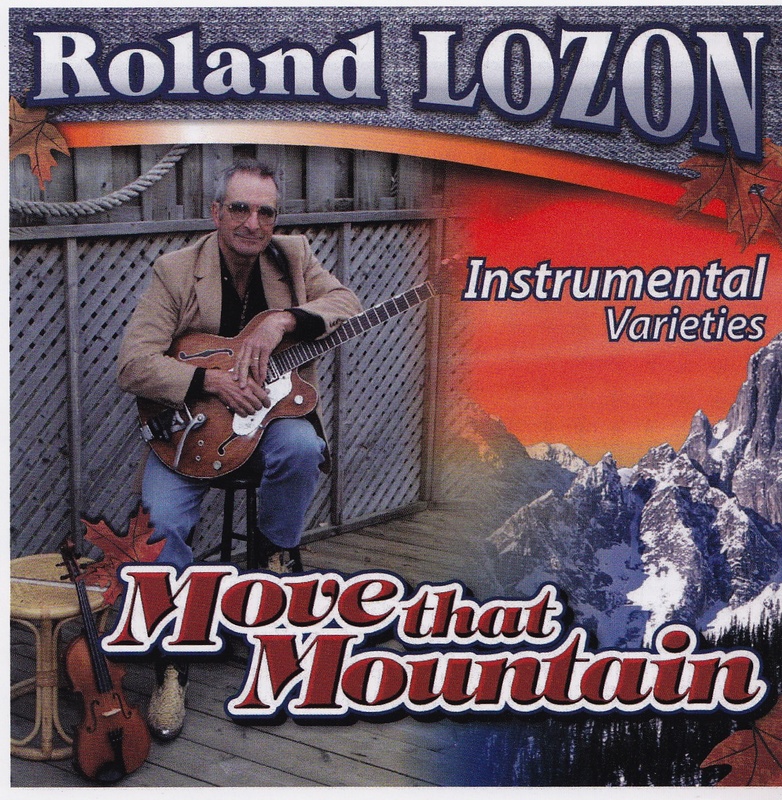 Although the root of the music is finger style country guitar playing, Rolands talents can be heard with his use of fiddle, 5-string banjo, mandolin, & a track with hammer dulcimer. At age 72, Roland carries on his passion for music & knowledge. I have met him a few times through work on the archive for his previous works in bands, most notably the Jubilaires. Without getting too much into how nice this guy is in person, let’s just say his sharing of musical knowledge & human kindness was extremely impressive, often only found in small towns like ours. 1. Move That Mountain, 2. Camptown Races/Wheels, 3. Alone On Your Star, 4. Remington Ride, 5. Seahorse Bounce, 6. Bello Carosello, 7. Gail’s Theme, 8. Wind That Clock, 9. Mont Royal Swing, 10. Bewildered Butterfly, 11. Up & Down, 12. Scottish Sky, 13. Shortbread Special, 14. Une Femme (Going Home), 15. Are You Teasing Me?, 16. Home Sweet Home, 17. Look Up, 18. Orange Blossom Special. Warm up band for Opry shows such as Marty Robbins & the Hank Snow show. Played for such stars as Ronnie Robbins, Minnie Pearl, Don Gibson, Charlie Walker, Wilf Carter, Skeeter Davis, Jan Howard, & more. Later bands included Jubilaires II, Front Page News, Vic & the Conchords, Country Drifters. Current bands include the Dover Red Necks & the Foggy Mountain Boys.